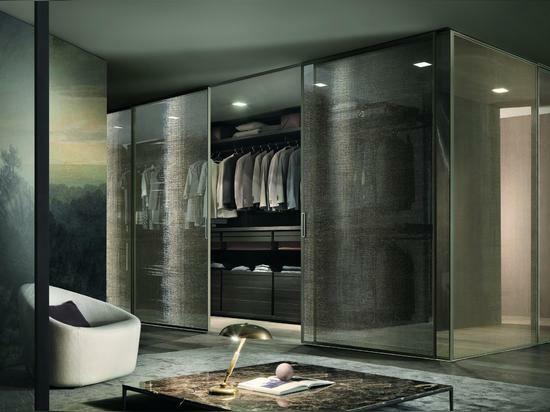 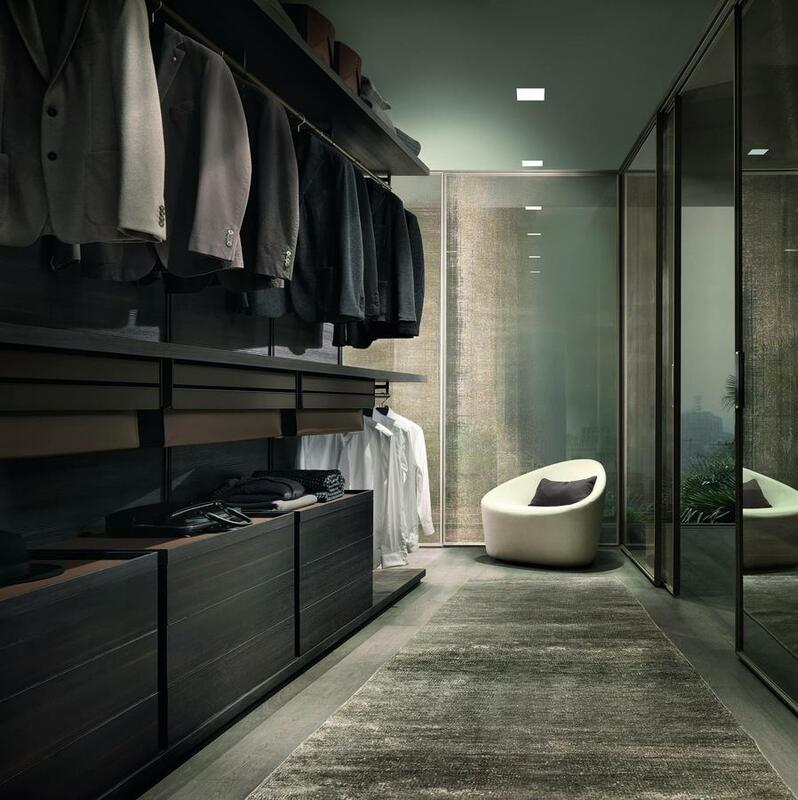 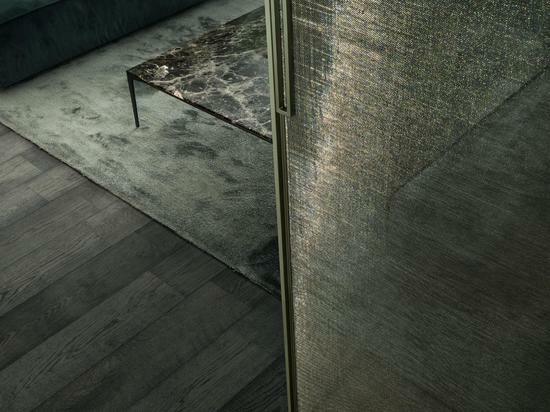 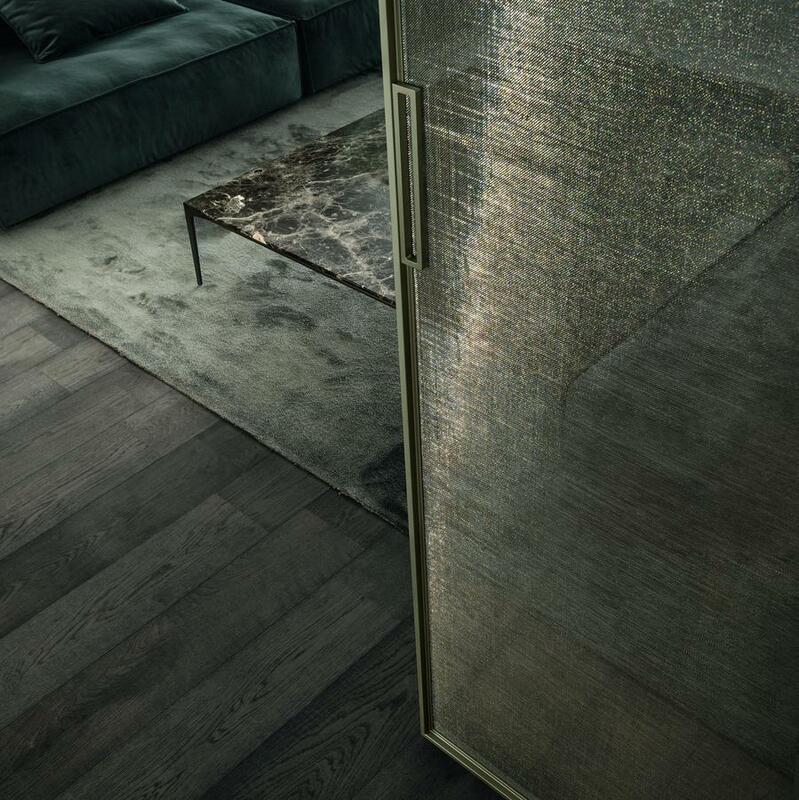 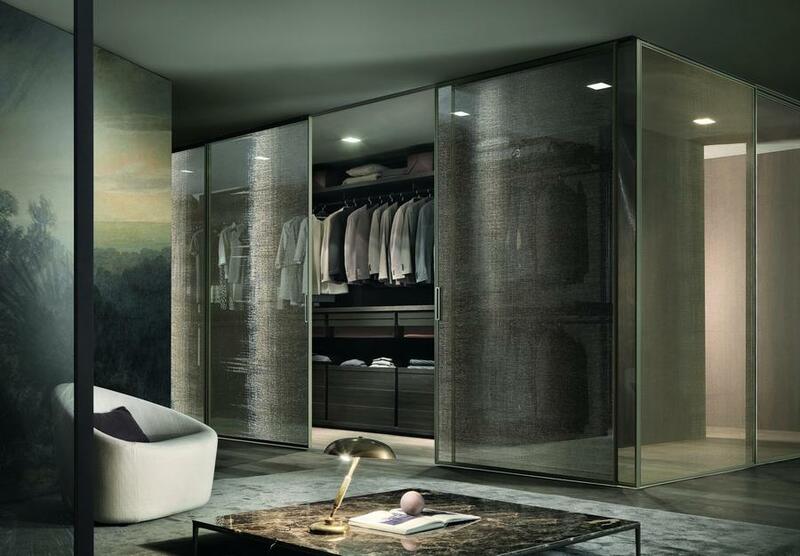 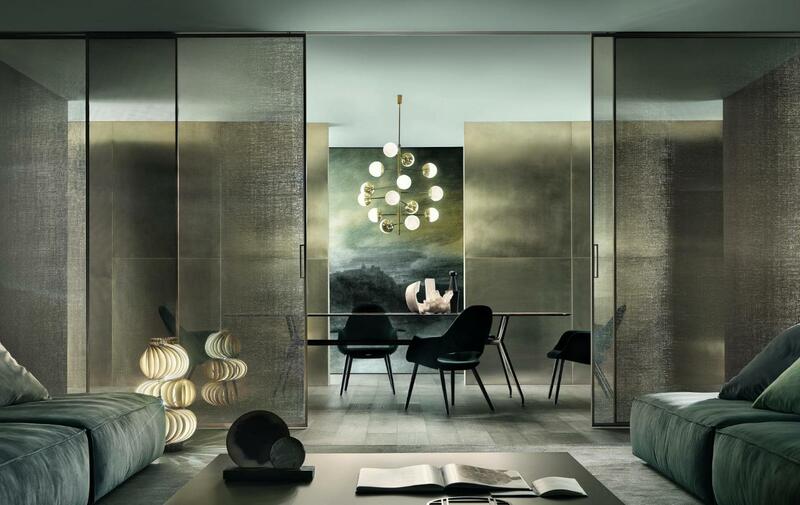 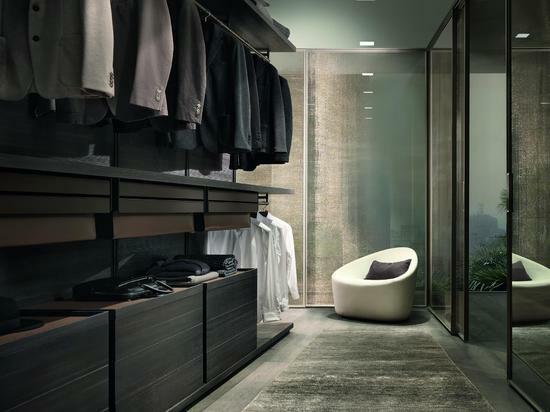 Rimadesio’s interpretation of the sliding door featuring utmost geometric precision. 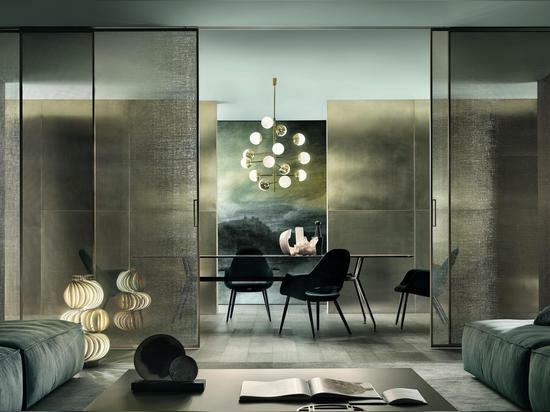 Velaria doors are always made to measure with an exceptionally slim aluminium structure that maximizes the exclusive aesthetic qualities of Rimadesio glass. 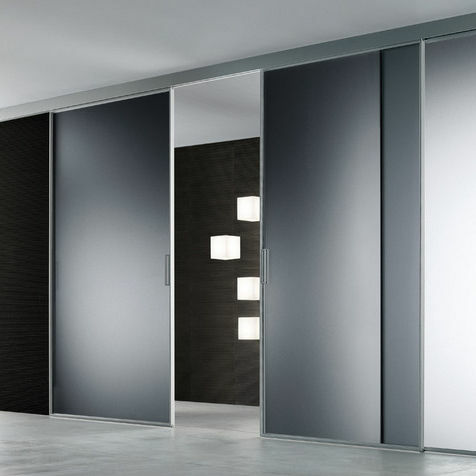 The system features innovative, patented technical solutions to ensure utmost design freedom, in conjunction with easy installation and long-lasting reliable use throughout the life of the door. 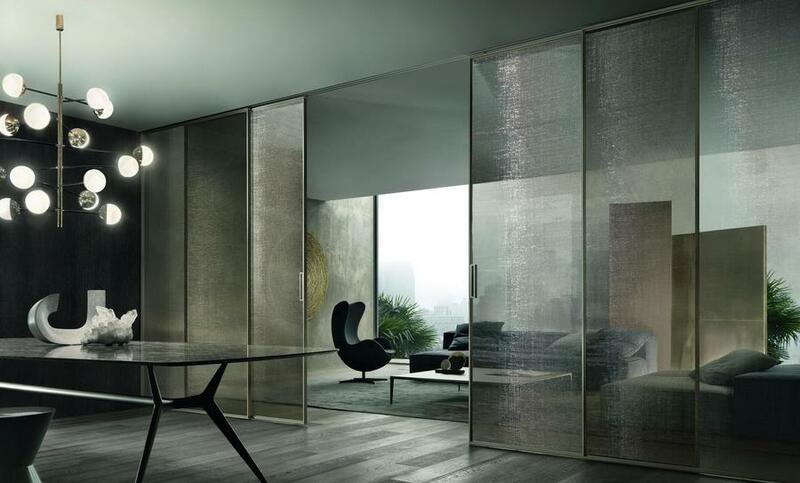 Together with the wide range of finishings suggested for the aluminium structure and the lacquered glass, glossy or mat, reflex, transparent or frosted available in all the colors of the Ecolorsystem, and in the mesh galss inox and bronze, Velaria add also a new proposal, a new aesthetic, with a strong expressive value due to the introduction of two new finishes: the structure in palladio aluminum and the new golden mesh glass. 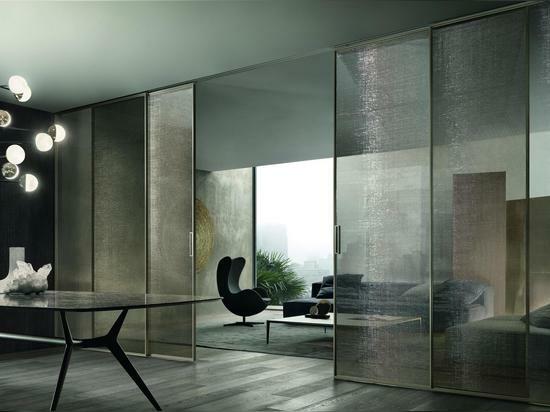 A laminated glass composed of two sheets of extra clear glass and in the middle the metal net.